So, on Facebook, an old friend threw down the gauntlet on a subject that is near and dear to my heart and rather boring to most folks. I now vent in the specific direction of “Oxfordians” who believe that William Shakespeare did not write his own poetry and plays: REALLY? Have you read Edward DeVere’s poetry? 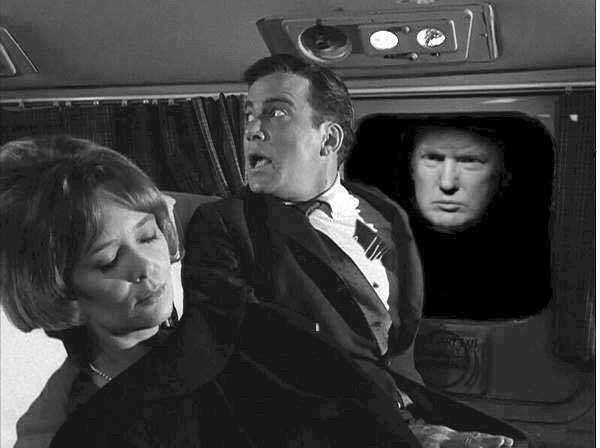 Have you studied anything about his personal narcissism? Have you asked yourself why such a vain man would put his own name to poetry that a sixth-grader might be ashamed to own – but Shakespeare’s name to the greatest English verse ever conceived? Have you wondered how a subpar writer who died in 1604 could’ve written plays credited to William Shakespeare that were written after that? Some dated as late as 1613????!? This led to a lengthy and, to my mind, extremely pleasant exchange, other than the friend of my friend who referred to me as a “garrulous douchebag.” In this exchange, I pointed out that I fully believe that William Shakespeare wrote his own poetry and plays, but I believe William Shakespeare was a pseudonym, and not William Shaksper of Stratford, who usually gets the credit. I also addressed the dating of the plays, but the subject of DeVere’s supposedly low-quality poetry called to mind an excerpt from Charlton Ogburn’s “The Mysterious William Shakespeare: The Myth and the Reality,” which is a tome that many Oxfordians consider to be the gold standard of Oxfordianism. I had thought that the test he mentions on page 393 of that book would be somewhere online, but, alas, it is not. So, being the garrulous douchebag that I am, I thought I ought to remedy that. I now quote Ogburn at length from pages 393-393 of his book. His words are in blue. In this excerpt, Ogburn quotes a Dartmouth professor names Louis P. Bénézet, whose words are in green. This mixture contains seventy lines; there are six passages from the works of one author, seven from the other; no passage is longer than eight lines; none shorter than four. An old friend of mine, who has been teaching English for forty years, took my booklet home and made an honest attempt, after careful reading and study, to pick out the Shakespeare passages. I met him afterwards, and he confessed that he had missed three of the first eight and was not sure enough to go on to the end. But the most surprising test was an interview which I had, four years ago, with a famous professor of literature from one of the nation’s oldest and greatest universities, a man whose name is synonymous with literary knowledge and who is quoted from coast to coast [William Lyon Phelps of Yale]. I read him the pot-pourri. “What do you think of it?” I asked. “It is beautiful,” he replied. “Where do you place it?” I asked. “Oh, it is Elizabethan,” was his answer. “Did one man write all of it?” I persisted. Should cease, my grief by wisdom’s power oppressed. And frantic mad with evermore unrest. As die I will or suffer wrong again. Which wit or labour never may endower. Who art as black as hell and dark as night. Who taught thy tongue with woeful words of plaint? The answers are in white text below. Highlight to read. So? How did you do? Let me know in the comments. Don’t cheat; that’s no fun. 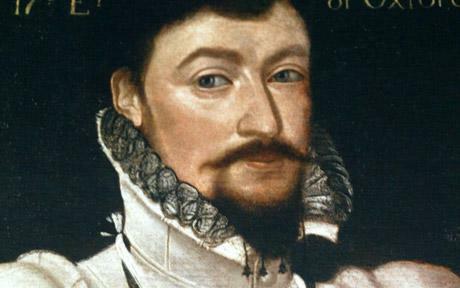 Edward de Vere, using his own name, wrote lines 1-6, 13-18, 23-26, 35-42, and 47-64. Mormons have long been hesitant to discuss the subject of temple garments in casual conversation, because such garments serve as reminders of sacred covenants that aren’t to be taken lightly. That’s why I bristle every time someone dismisses them as “magic underwear,” or worse. I don’t think such comments are always intended to be cruel, but they demonstrate a lack of sensitivity with regard to a religious practice that requires a great deal of context to be properly understood. A few decades ago, I felt that such context was unlikely to be found in the loosey-goosey atmosphere that often prevailed in dressing rooms when I was a theater student at the University of Southern California. So when it came to changing into costume, I initially tried to find ways to do it out of public view. This was easy in the Bing Theatre, USC’s largest proscenium, because I could change in a bathroom stall without calling any attention to myself. But in the smaller theaters, the bathrooms were too tiny, so I ended up trying to put on my costumes in the dark corners of crowded spaces, which was very much a hit-or-miss proposition. So I eventually gave up. After a few semesters of this pointless hide-and-seek, I got dressed right alongside everyone else and braced myself for a wave of ridicule that never came. Oh, sure, there were a few questions here and there, but they were never unkind. If there were rude or nasty comments, I never heard them. All this is prelude to the news, reported by the Salt Lake Tribune, of an upcoming ABC-TV drama showing a Mormon character wearing nothing but his temple garments. “Quantico,” which premieres on Sept. 27, follows the lives of several FBI recruits in training. At one point when they are disrobing, a Mormon recruit gets asked if he is wearing “pajamas under (his) clothes.” This raises more questions, and the Mormon explains that Latter-day Saints are appealing to the FBI because they “respect authority, don’t drink or take drugs, spend time in foreign countries, and they speak several languages,” according to the Tribune. And that’s pretty much it. If that’s all that happens, I don’t really see this as much of a problem. Certainly it could be a whole lot worse. In discussing this with a friend, he pointed out that ABC would never feature a scene where someone was wearing, say, a T-shirt with a Mohammad cartoon. That’s true, but I think it’s because writers fear backlash, not because they intrinsically respect Islam more than Mormonism. In addition, it doesn’t sound like the point of the scene is to make fun of Mormons or temple garments, but rather to depict a moment that has surely had several real-life antecedents with LDS FBI recruits, and one that is not that different from my own experience. As for those who insist that it is never appropriate to show temple garments in any context, they need to take issue with The Church of Jesus Christ of Latter-day Saints, which officially released an explanatory video and pictures of temple garments earlier this year. Don’t misunderstand me. This is still an insensitive thing for “Quantico” to do, and I’m troubled by reports that suggest that, over the course of the series, the Mormon character doesn’t live up to the standards of his faith. There’s also still a question as to whether or not that particular scene will make it to air. But what I find encouraging is the fact that there’s a Mormon character at all. Television now seems to be willing to depict a Latter-day Saint as a three-dimensional human being rather than as a stereotype used to openly mock religion. As Mormons become more prominent, we should expect pop culture to take notice and also anticipate that there will be a few bumps in the road along the way. That shouldn’t be a reason to go back to dressing in the dark. Every time someone is thoughtful enough to take time out of their day to wish me well, I think that act of kindness deserves a personalized response, and it takes time to respond to 180 different people, and if I get started mid-day, more well-wishes from others pop up as I’m writing back, so I end up feeling like I’m falling behind, and what ought to be a fun exchange with friends ends up feeling a bit like a chore, which is an ungrateful way to respond to good folks who care enough about me to say so. So I’ve decided to steer clear of Facebook all day until everyone’s news feed moves on to the next birthday, and then I can begin the response process on the second day of my 48th year on Planet Earth. So for all of you wishing me well, thank you so much. You have made me loved and appreciated, and that’s no small thing in this lonely world of ours. So if I’m not going to hang out on Facebook, the least I can do is to keep this blog from drifting off into oblivion. I thought I’d weigh in on a few issues that have been rumbling around in my brain, each of which could easily merit a blog post of their own. 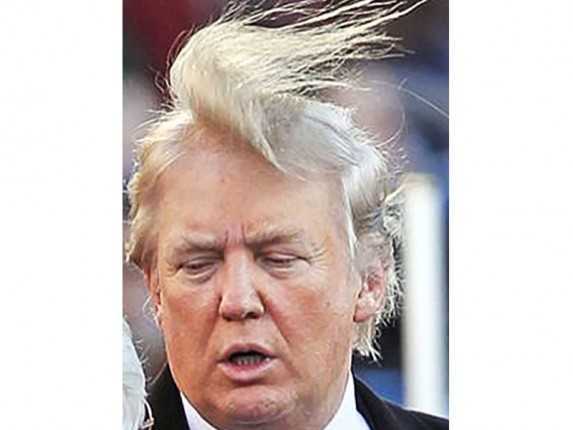 I’ve written the definitive piece on Trump’s candidacy in my most recent column for the Deseret News, but I fail to mention the issue that is of primary concern to most of those following this bizarre reality show circus, which is that of The Donald’s hair. 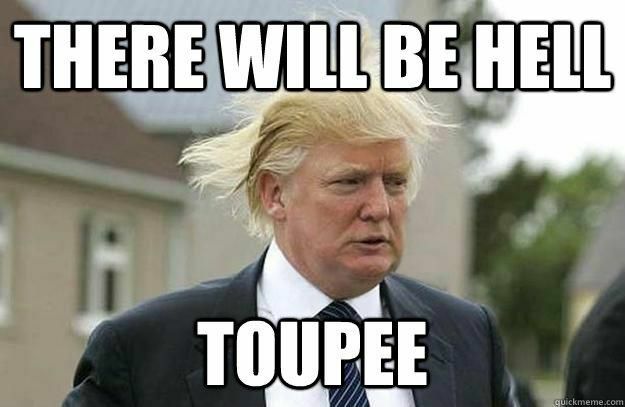 It’s funny, sure, but The Donald doesn’t wear a toupee. That’s all his own hair, which is why there’s so dang much of it. A toupee wouldn’t consume such a large degree of Trumpian scalpular geography. It would just sit there like a dead raccoon, much the way William Shatner’s has done for lo these many decades. I’m convinced Trump manipulates huge swaths of bleached hair to cover scalpular* portions which God hath left desolate. 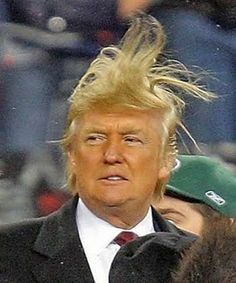 A toup would just fly off in a strong wind, not flutter askew like a pencil troll gone to seed. The evidence clearly suggests overcombing, not hairpiecing. 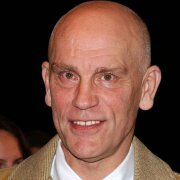 While I respect the fact that Mr. Malkovich has made far less ridiculous scalpular choices than The Donald, I find it very tedious that so many atheists keep claiming there is “absolutely no evidence” of God’s existence, which is false, when what they mean is that there is “absolutely no proof” of God’s existence, which is, in fact, true. Mormons deal with this a lot. For quite some time, the Mormon blogosphere, known by the faithful as the “Bloggernacle,” has been engaged in a long-running discussion/argument/flame war as to the historicity of The Book of Mormon – the book of scripture, not the rancid musical. For those of you who are unaware, The Book of Mormon purports to be a translation of ancient religious records of people that migrated to the American continent and established a civilization that all but collapsed circa 400 AD. It is now fashionable in certain circles to refer to The Book of Mormon as “inspired fiction,” and, while it represents a tour de force of religious insight by purported-translator-but-assumed-author Joseph Smith, there is “no evidence” that there were actual people called Nephites and Lamanites who lived and died and did stuff. Over at a blog called “Enigmatic Mirror,” Mormon scholar William Hamblin has been exchanging posts with a non-Mormon academic named Philip Jenkins, who likens belief in The Book of Mormon as a historical, non-fictional document to belief in Bigfoot – who we all know is Cain, punished to wander the earth swathed in matted, unbleached Donald Trump combover strands for thousands of years until he finally guest stars as Andre the Giant on The Six Million Dollar Man. Jenkins refuses to either read The Book of Mormon or even acknowledge that there is any reason to do so, because there is – you guessed it – “no evidence” that it’s historical. When Hamblin suggests that Jenkins has “tacitly” admitted that at least some evidence exists, Jenkins gets quite huffy. This is the primary argument, incidentally, on an issue of far graver importance than the nature of God or scripture – namely, the identity of William Shakespeare. There is considerable evidence, but no proof, that William Shakespeare was not the similarly named William Shakspere/Shaxper/Shagspur of Stratford-on-Avon who currently gets all the credit for those plays, sonnets, and poems, but rather that William Shakespeare was the pseudonym of Edward de Vere, the 17th Earl of Oxford, much the same way Stallion Cornell is the pseudonym of Jim Bennett, the 47-year-old wannabe Duke of Earl. Yet if you go to Wikipedia, source of all wisdom, Oxfordians base their case on “the dearth of evidence for any conspiracy as evidence of its success.” So not only is there “no evidence” that Oxford was Shakespeare, but the lack of evidence is our evidence? What the crap is that? If evidence were always proof, then why would we have a criminal justice system? Jury trials involve two opposing advocates using identical evidence to argue for diametrically opposite conclusions. Even the most devoutly religious concede there is no conclusive proof that God exists, but they’ll offer up a great deal of evidence for why they believe he does. But if the intellectually lazy can equate a lack of proof with a lack of evidence, then they can end all arguments before they begin. You know what else bugs me? Peter Capaldi in Doctor Who. As I announced in one of my columns, I’m binge-watching Doctor Who, which has conveniently incorporated the changing actors in the lead role into the plot structure of the show. 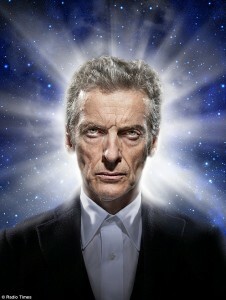 The show’s title character is the Doctor, a time-travelling, nigh-unto-immortal alien whose surname is not Who. When the Doctor is close to death, he “regenerates,” i.e. turns into an entirely different person played by an entirely different actor. While he retains his memories from previous incarnations, his personality changes with each new body, too. Well, pretty bad, as it turns out. Eccleston, Tennant, and Smith played the Doctor as a sort of dashing, eccentric rogue, but Capaldi is a 57-year-old arthritic curmudgeon. He’s a full three decades older than Matt Smith, and his Doctor is so far removed from Smith’s interpretation that it’s very difficult to suspend disbelief and pretend they’re the same person. I’m three episodes in to Season 8, and I was hoping I’d accept Capaldi by now. I don’t. 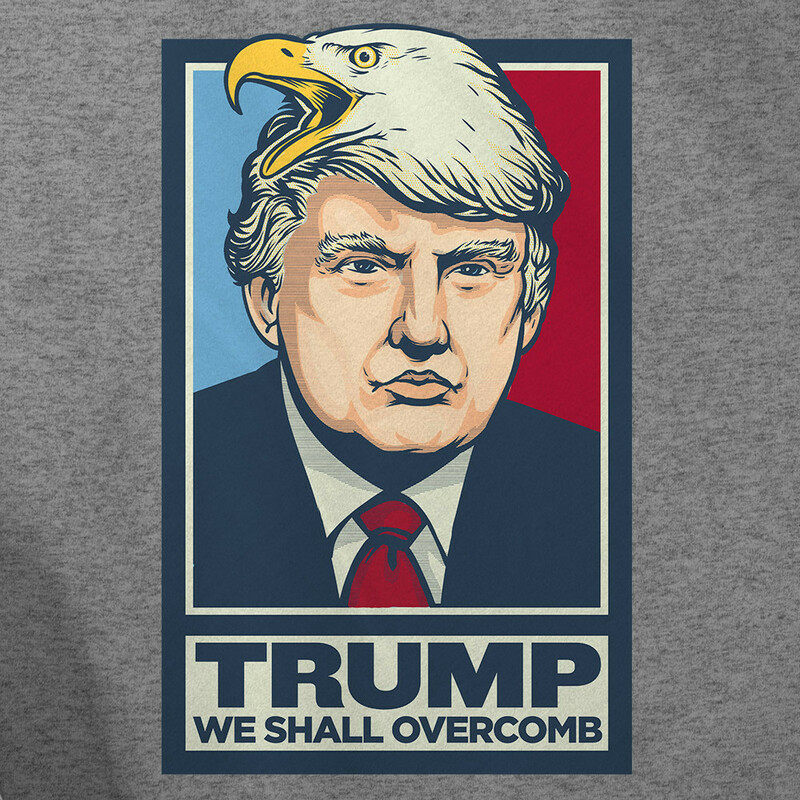 But at least there’s no combover. And so we’ve come full circle. Again, thank you for you kind wishes, and maybe I’ll post here a few more times before my next birthday. * I have used the word “scalpular” several times in this blog post, when, to my knowledge, “scalpular” isn’t really a word. Autocorrect keeps trying to change it to “sculptural.” If you can’t tell by the context, I use “scalpular” as an adjective with a definition meaning “of or pertaining to the scalp.” Should this word be incorporated into common English parlance, I will therefore expect Webster’s Dictionary to send me royalty checks. In any case, I have copyrighted “scalpular” and reserved all ancillary rights thereto. Should you decide to say it in conversation, you will owe me $.25 per usage.